With blinds for windows becoming as popular as they have, how to best maintain them is also something that has gained focus. Over the years curtain designs have evolved considerably but that being said, blinds too have now become an integral part of the modern household. This has everything to do with how elegant they look and how functional they are. When it comes to maintenance of anything in the home, regular cleaning is a must. Whether its blinds for windows or furniture, without proper cleaning, none of them will last as long as they should. Vacuuming: Using a brush end and vacuuming the blinds at regular intervals will go a long way in keeping them clean. While doing this, close the slats so reach the maximum surface area. Sponging: When we talk about curtain designs, certain light colored ones can end up with dirty finger marks and spots. The same is true for light colored blinds. In such a case spot cleaning with a sponge and warm water can really help. Bathing: If the blinds have ended up being really dirty, its better to remove them and clean them in a bucket or bathtub of warm soapy water. You can immerse the blinds but do not leave them in there. Clean as you go to make sure that they do not get damaged. With these little steps, taking care of your blinds becomes easy and something that you can do self-do. 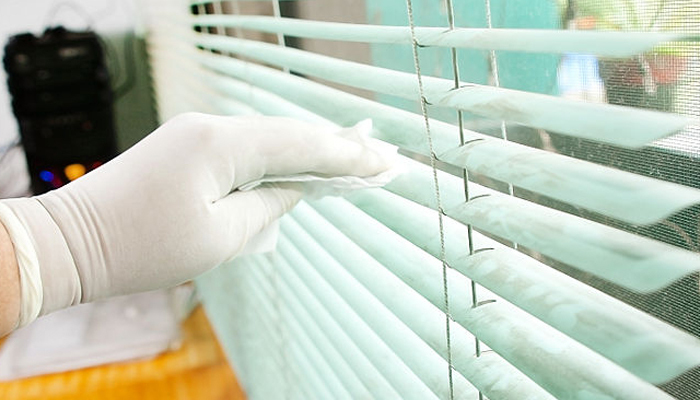 Putting this effort towards them will make sure that the life of your blinds is long and they stay shiny and new. Want clean blinds? Use these steps today to work towards it and fulfill your purpose!